View more information with less scrolling. The darker interface helps reduce eyestrain. See the details in your drawings more clearly. Orient your work more precisely with the point cloud. Generate design ideas in almost any form. Integrate your desktop, cloud, and mobile workflow. 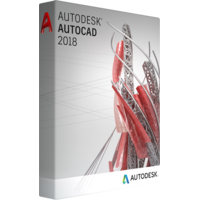 Help ensure the fidelity of your AutoCAD drawings. Share and access customization preferences.